Home to Suomenlinna, an inhabited sea fortress and UNESCO World Heritage site, Helsinki has both natural and historical wonders that will leave you astounded. Finland's southern capital is also home to a number of famous museums including The National Museum and Kiasma. The National Museum exhibits Finnish archaeological artefacts dating back to the Stone Age. Kiasma is a contemporary art museum and a popular destination for both tourists and locals. Another mesmerizing sight in Helsinki is its Temppelixaukio Church, also nicknamed the Rock Church. As its nickname suggests, this church was excavated into a rock, making it one of the most unique churches in the world. If you are looking for a taste of real Finnish culture, then look no further. 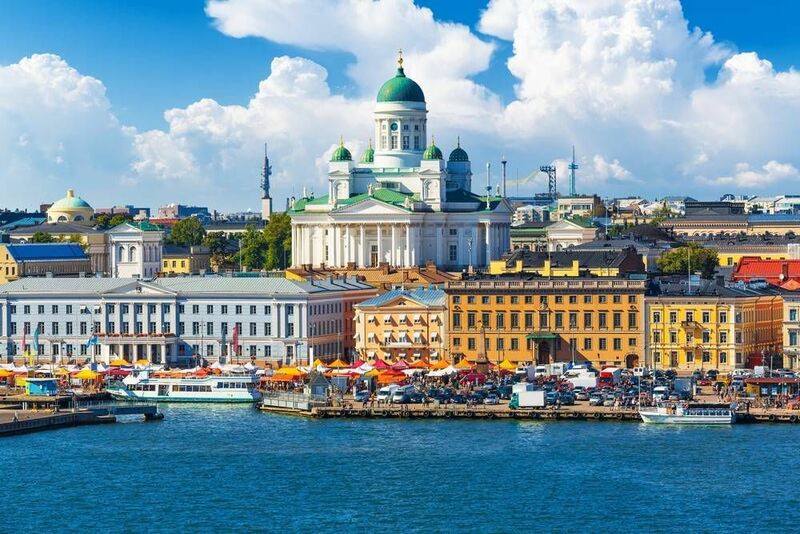 Helsinki has been increasing in popularity as a travel destination it is sure to continue growing in the coming years. By joining one of Helsinki’s free walking tours, you’ll get a chance to see this wonderful city in a matter of hours and become acquainted with its streets and landmarks. Not only will you get a chance to see Helsinki and learn about the history and culture, but also familiarize yourself with the streets so you can continue your adventure without getting lost. This free sightseeing walking tour will walk you through the top attractions of Helsinki while teaching you about the architectural importance of each of them. Learn about the everyday life on a Finnish, and get tips on where to eat, hang out, and grab a drink. Easily the funniest free walking tour in Helsinki, the Happy Guide Tour will have you laughing while learning about the city. See the real Helsinki, meet the locals, and see the top sights and attractions of the city. Learn about the history, culture, and heritage of Helsinki from a tour guide that actually loves their city and what they do. Below you can find more popular (but not free) activities and tours in Helsinki. Are you from Helsinki and want to be a tour guide? Please get in touch by submitting your details on this page!